The past several months have taught me that there are more than a few folks in the literary world who enjoy video games. 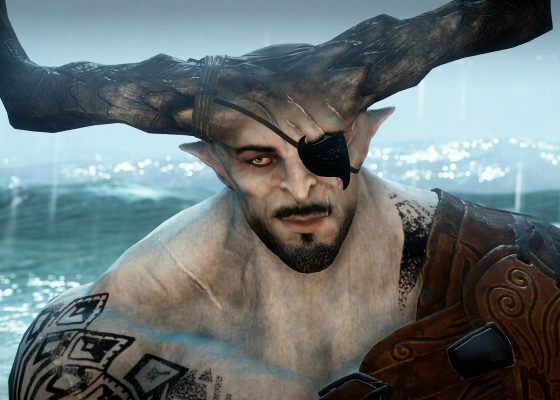 These talented authors find not only inspiration, but solace (or Dragon Age Inquisition’s Solas) in gaming. I recently met such a writer, New York Times bestselling author Susan Dennard, at a book signing in the Chicagoland area. She was in town to promote her recent addition to the Witchlands series, Windwitch, and while taking questions from the audience she made her appreciation known for RPGs and Bioware. Susan was gracious enough to answer a couple of questions about this series and her love of video games. You’ll no doubt want to check out the Witchlands after you read this interview. TVGB: Could you tell us a bit about the Witchlands series and the most recent book addition, Windwitch? 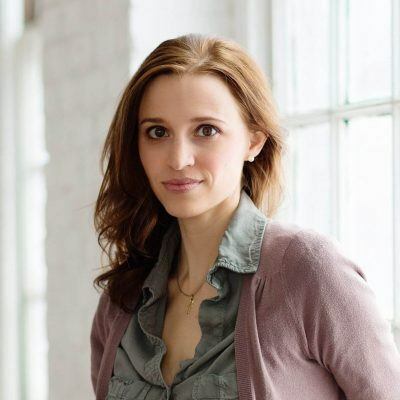 Susan Dennard: The Witchlands is an ongoing epic fantasy series set on a continent where magic is failing and unrest is growing as a twenty year truce ends between three warring empires comes to a close. Now, only a mythical pair of witches can heal the taint in the land and bring balance. But the two young friends have yet to discover their fate, even as their world heads towards chaos. Basically, it’s my love letter to Avatar: The Last Airbender and fantasy RPGs. In the first book, Safiya is a Truthwitch, able to tell truth from lie. She has kept her magic hidden her whole life, for emperors would love to have her on their side — or would kill to keep her off their enemies’. When a Bloodwitch sniffs out Safiya’s power and decides to sell her to the highest bidder, Safi and her best friend have no choice but to abandon their homes and run for their lives across the Witchlands. 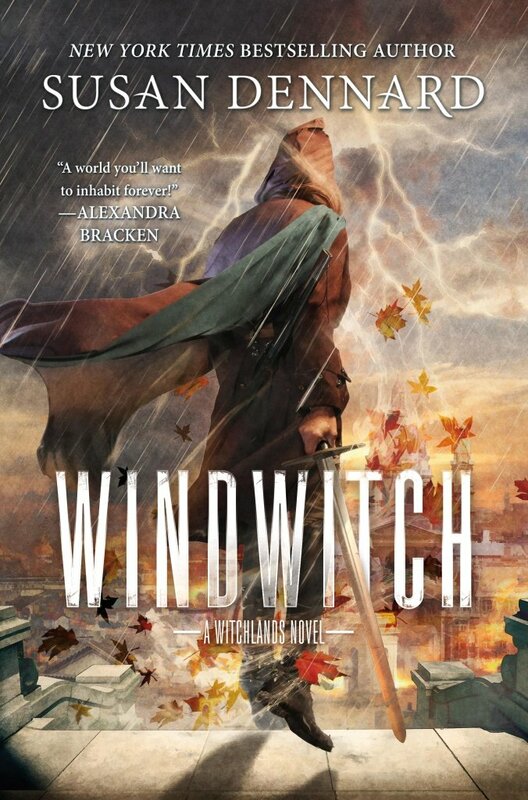 The second book, Windwitch, picks up where Truthwitch left off. The truce has ended, war has resumed, and worst of all, a threat is rising in the north — a threat that threatens all the empires, all the magics, and all the people of the Witchlands. TVGB: You mentioned that video games were an inspiration for your writing. What particular games were the biggest influences for this series in terms of world building and/or characters? SD: Zelda was the first fantasy game I ever discovered, so that franchise has (and always will be) a massive influence on both how I visualize fantasy worlds as well as how I structure plots. I’m all about those boss fights! Other games that were formative for me as a growing/budding storyteller back in the day are the King’s Quest franchise, the Longest Journey series (my monk character was totally inspired by Kian! ), Arcanum, Planescape: Torment, the Fallout franchise, the Final Fantasy franchise… Yeah, basically the 90’s and early 2000’s heavily informed how I imagine and articulate story. Flash forward two weeks, and I literally had played ALL OF ORIGINS and ALL OF DA2. Yup. The only reason I didn’t dive immediately into DAI was because I lacked an Xbox One (and I refused to play on 360, where the experience wouldn’t be The Best Possible). Fortunately, my birthday was around the corner, so my mom + husband gave me an Xbox One. I have now played DAI in its entirety 3 times, and I’m on my 4th playthrough now. 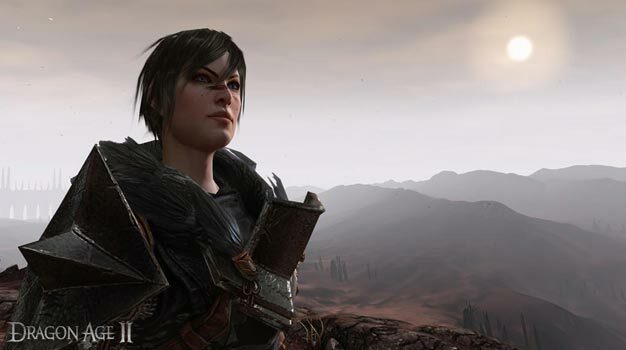 So as you might imagine, Dragon Age definitely influenced Windwitch and future installments in the Witchlands. Primarily from a world-building standpoint. I love the way Bioware drops hints and foreshadowing into the various settings, so I’ve really started to apply a similar it’s-hiding-in-plain-sight! approach with my writing. TVGB: You graced us with your amazing singing voice and sang one of the songs that’s written in Windwitch. Any chance you will be recording and posting renditions of all the songs in the series (fans would love this)? SD: Oh my gosh, I forgot I did this. I am blushing with shame just remembering. I definitely recorded a VERY rough rendition of a song for fans on tumblr. Maybe, if I could get some actual equipment instead of just my laptop mic and Garageband, I could one day record some of the songs. Maybe. I write so many songs in my books (and my editor makes me cut, like, most of them), it would be fun to get the tunes down for readers — even if I don’t do the singing. TVGB: What video game character(s) would most likely have a cameo in this series? What type of witch would they be? TVGB: You commented that you would love the Witchlands series to be made into a video game. Are there any specific people you would want the characters modeled after/perform the voice over work? SD: I mean, I know it’s a cop out, but Bioware. I’d, like, legit pay them to make the Witchlands into a game. Here, take my money! I’m also really impressed with what CD Projekt Red did for Witcher 3, but the male gaze and portrayal of women in that series is deeply uncomfortable to me. So much amazing story and world and animation! Why did the handling of women have to be so problematic? TVGB: Have you written any fan fiction of video games? SD: Oh yes. I did a lot of Link/Zelda fan fic as a wee tween. There were probably other games I dabbled in at that age, but I struggle to recall. More recently, I was super obsessed with Fallout 3 for a time. So there were some self-insert Brotherhood of Steel stories written. And of course, Dragon Age: Inquisition. I’m so deeply #Solavellan! Break my heart, Solas! Just rip it to shreds!! Oh, and some Shenko fan fic (Mass Effect). I love Kaidan and Femshep so much. TVGB: Favorite cosplay video game costume? 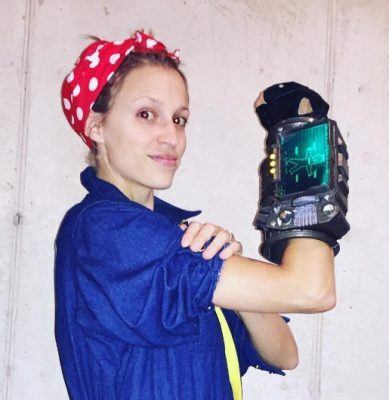 SD: My most recent video game cosplay was as a Fallout 3 Rosie the Riveter. One day, when I’ve the time and money and resources, I’ll realize my dream of cosplaying Commander Shepard. It’ll happen!! But I think my favorite game cosplay was when I dressed as Link because that’s the night I met my husband. Who knew the Triforce could lead to romance? TVGB: What are you currently playing? I’ve put a lot of hours into Mass Effect: Andromeda lately. But I did set it aside a few weeks ago, primarily because work/travel picked up. But, I’m also hoping that by the time I can get back to it, Bioware will have given us a few more animation patches to work with. I really want to love this game, and I think some animation improvements might help. Windwitch is available now wherever fine books are sold. It’s an excellent book and has lots of great reviews to support it at Goodreads.com! You can find out more about Susan and both of her series, the Witchlands and Something Strange and Deadly, over at her awesome site: susandennard.com.